We’re on the edge of our seats at Triptease towers. That's because one of our hotel partners is about to hit a huge milestone, becoming the first to reach a cool $1 million in revenue from a single exit intent message campaign. It’s a massive achievement and one we plan to celebrate. Why? Well, we do love a party, but, more importantly, because customers abandoning online bookings can be a major headache. In fact, industry stats show that 81.6% of travel bookings are eventually deserted, with the total value of those lost sales a whopping $1.78 trillion! 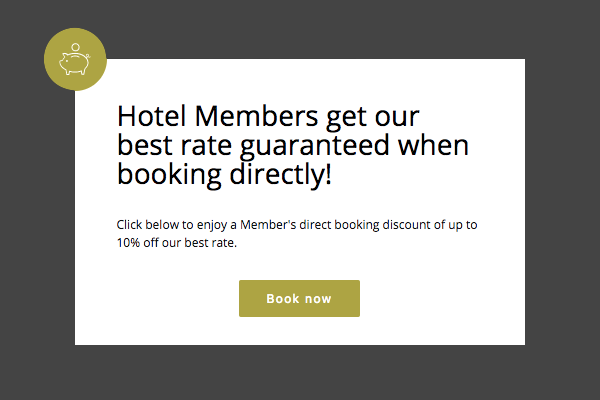 Our hotel partner’s accomplishment proves that it’s possible for an expertly crafted exit intent message to convert browsers into buyers and boost sales. But with so much to offer and diverse client bases, it can be hard for hotels to home in on the perfect campaign. Having created abandonment-solving tool Message Porter, we often get asked for advice and, given the significant industry interest in the subject over the last year, we decided to comb through our treasure troves of data to discover the best-performing Message Porter campaigns. Here we analyse the secrets to their success. For obvious reasons, the exit intent message has to appeal to its audience. 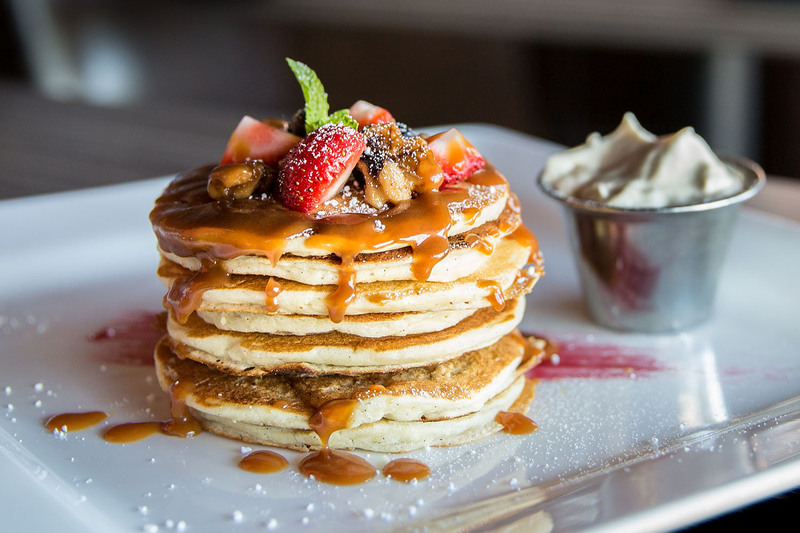 The $1 million message that sparked this post is simple — direct bookers get a free breakfast — but it’s worked so well because it adds real value for recipients; in this case sight-seers looking to get going early or business travellers craving convenience. Another big-hitting campaign comes from a city centre hotel, often booked by those treating themselves to a luxurious weekend break. The offer? A free bottle of fizz and discounts in its bar and restaurant. One of the all-time top-performing exit intent messaging campaigns recreated that nagging feeling of missing out on something truly special. 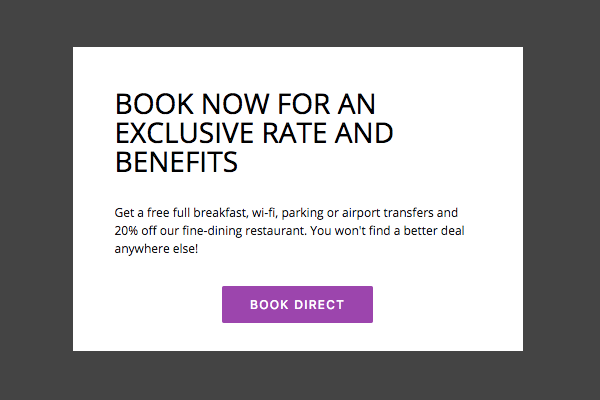 It proposed an exclusive rate and listed a string of benefits, such as complimentary services, that came with it. 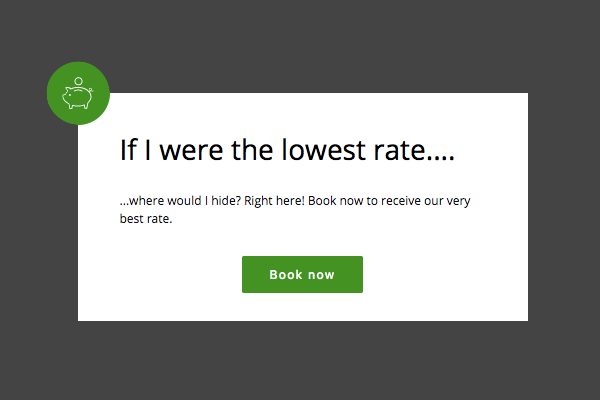 As we wrote last week, some hotels see growing loyalty schemes as the key to unlocking more direct bookings. 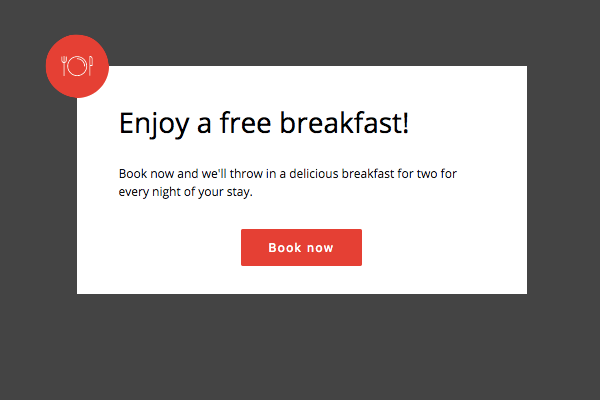 One abandonment tactic that we liked involved combining an offer with promotion of the hotel’s loyalty programme. It gave the rate usually reserved for members and offered an instant discount while also advertising the benefits of signing up. These are just a handful of the campaigns running on our platform right now and there are many other big earners out there. Relevance will always be a winner and we love to see the benefits of booking direct up in lights, but there’s plenty of room to experiment. For more insight into all things hotels, join us at our Direct Booking Summit series in New York and Barcelona. Check out our agenda to find our more, or register for the event below.